The concept of having to lie about one's age just to gain some certain accolade has become rampant among our early day artiste. But before i go further, i would as a matter of fact look out what the dictionary says about Age fabrication. According to Wikipedia, age fabrication occurs when an individual deliberately misrepresents their true age. This is usually done with the intent to garner privileges or status that would not otherwise be available to the individual. the altering, doctoring or forging of vital records. Age fabrication is a common thing in the Nigeria music industry today. 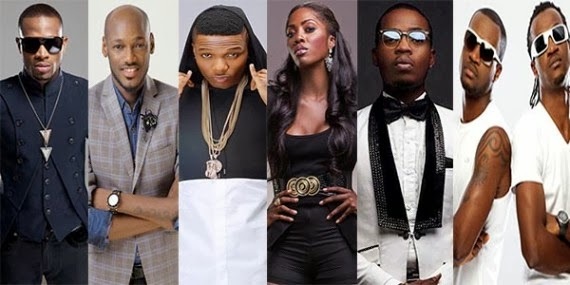 For example an individual say an artiste may wants to decrease his or her age just to appear young to the general public and beats the decrimination that comes with old age. Taking a closer look at the said issue, it might not really be from their ends, but people around them such as parents, publicists etc. Now over to you, what do you think should be done or rather be the punishment for those involved in this act ? The comment box is available and ready to receive you with open arms.